What's the best kind of birthday surprise? One you're not expecting! 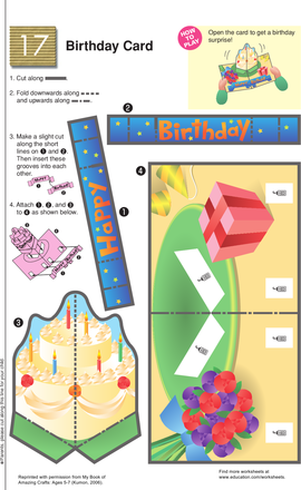 This worksheet is a birthday card cut-out that pops out in 3-D. To assemble this birthday card your child will need scissors, paste, and an keen eye for detail. 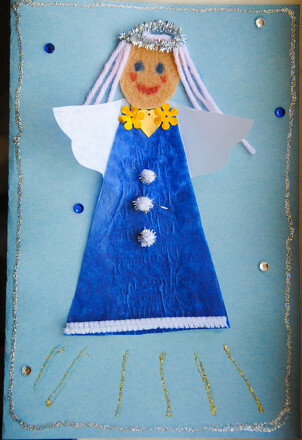 After she's completed this worksheet, she'll have a birthday card perfect for any celebration! Surprise! Young writers are prompted to write a personal narrative about a time they were surprised.